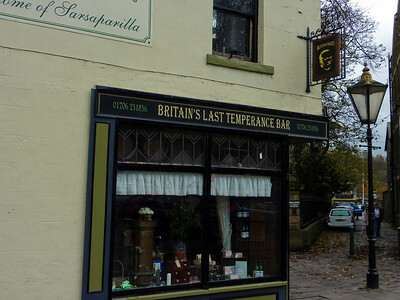 Brief visit to Rawtenstall in Lancashire. 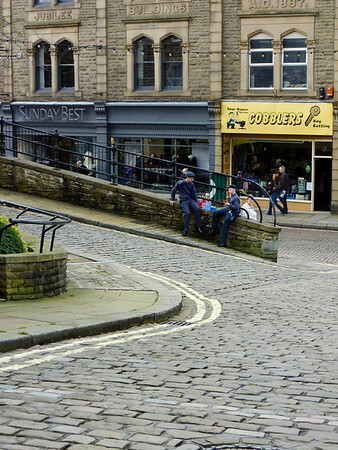 At one end of the moderately picturesque East Lancs Railway and blessed with several quaint cobbled streets, Rawtenstall (pronounced 'Rottenstall' or 'Rattenstall' – either way, not a good sign) nevertheless manages to be utterly charmless. 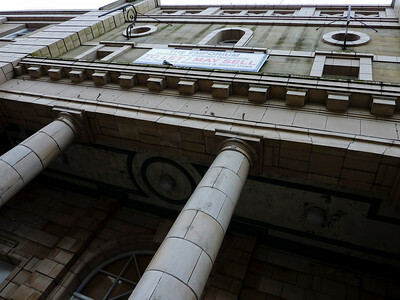 Disastrous town planning and a derelict shopping precinct don't help. 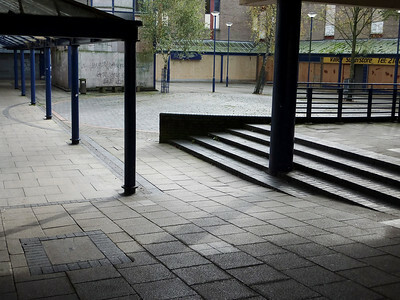 Only one shop remains open in Rawtenstall's desolate modern precinct. 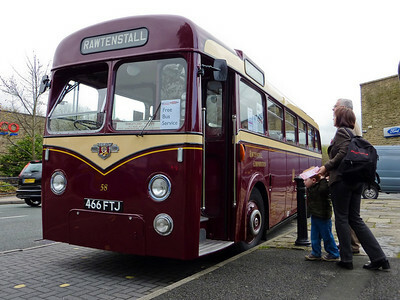 Free bus for special event on East Lancs Railway, Seen here at Rawtenstall station. 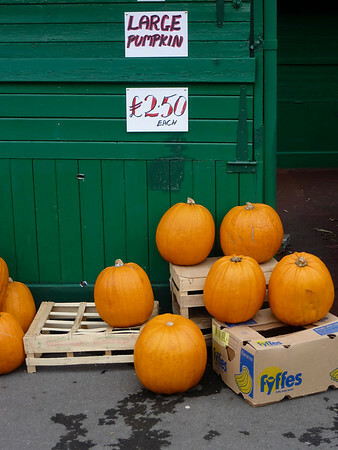 It's halloween in Rawtenstall, not a sudden interest in eating properly. 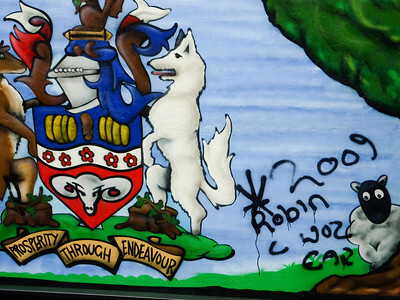 Badly spelled graffiti is 'Robin's' endeavour, which is unlikely to lead to prosperity.